Siddharth Agarwal, a physician, works in research and programming in community empowerment, urban health, public health, nutrition, maternal & new-born health, planning, policy support to national and state governments and global public health policy advocacy. He has been working for the cause of wellbeing, nutrition, and health of disadvantaged populations for 30 years. He is director of Urban Health Resource Centre (UHRC), a non-profit organization that works for health, nutrition, and wellbeing of 500,000 disadvantaged urban dwellers through demonstration programs in partnership with slum communities and government departments, and also engages in research, policy support, and advocacy. UHRC played a key role in stakeholder consultations, meetings, and study tours, and consolidating lessons from programs over 6 years for Government of India’s National Urban Health Mission which mandates reaching out to all listed and unlisted slums, vulnerable settlements. He has collaborated nationally and internationally with researchers of U.S. and U.K. universities, institutions on several projects dealing with urban wellbeing, health, and sustainable development. He teaches public health from a multi-disciplinary perspective and is adjunct faculty at Johns Hopkins Bloomberg School of Public Health and in Department of Global Health at George Washington University. 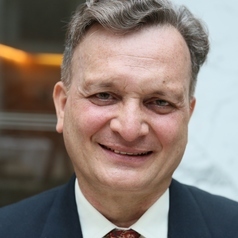 He has served as guest faculty at University of California, Berkeley, TERI University, Institut d'Etudes Politiques Sciences Po, Paris, Coady International Institute STFX – Canada, Touro College, NY, University of Leeds, U.K, TERI University, Delhi University, IIT – Kanpur, Indian Institute of Public Health, Delhi. He has been guiding in-country and overseas Ph.D. and masters students for the past several years. He has been a member of several Government of India committees, member of several international committees and panels and an adviser to the World Health Organization (South East Asia Regional Office and Kobe Centre, Japan), UN Habitat, UNFPA, UNICEF, UN University, ISUH on different aspects of vulnerability, disparities, health care, public health, community health, nutrition, urban health, wellbeing, and policy, practice, sustainable development. He is Past President of International Society of Urban Health (2010-11) and Executive Board Member during 2008 to 2014. He is member of editorial boards and review panels of several international journals and has been reviewer for The Wellcome Trust, UK. Over 100 articles, research papers, book chapters and reports have been published in Indian and International journals, books and newspapers. His interviews have been published by government and non-government periodicals, newspapers and by international agencies. He is a recipient of AXA Outlook Award, a nomination based award of AXA Research Fund, Paris and Rotary Vocational Service Award for his services towards the betterment of the underprivileged in 2015. He delivered Prof Shakuntala Memorial Oration at his Alma Mater, Lala Lajpat Rai Memorial Medical College, Meerut at the start of the Medical College’s Golden Jubilee year activities in 2016.